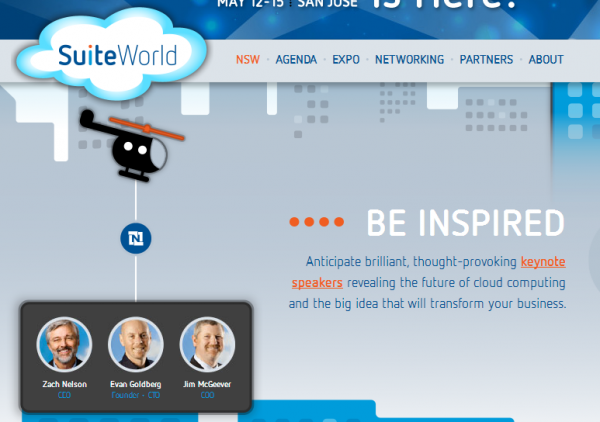 I have heard Zach Nelson, CEO of NetSuite present for years now. He is nothing if not persistent. He has often talked about CRM without integration to transaction processing systems is clearly inadequate. As omnichannel becomes a burning topic in retail, banking and many other sectors, his ability to offer point of sale, order management and other functionality to support brick and mortar, web and mobile customer facing activities shows the market acceptance of his broader definition. He likes to remind Bill McDermott of SAP every few months he is still waiting for the 99 mph fastball Bill had threatened via his cloud Business ByDesign product. As NetSuite crosses a milestone $ 500 m in annual revenue, while SAP continues to reorganize and “evolve” its definition of cloud offerings, Zach’s taunt is more apt. Some analysts in the audience wish Zach was not so feisty. Roddy McKaig, CIO of $ 5 billion+ Shaw, the world’s largest carpet manufacturer, described his initial reluctance to consider a cloud solution as they opened a large plant in China and how NetSuite has quickly become now their ERP solution in 11 Asian and Australian subsidiaries. One of several “two tier ERP” examples NetSuite can showcase. When global companies and massive (and well run) government agencies start vindicating your message, maybe you can please those analysts and not be so feisty. I sure hope Zach does not.